A few weeks ago I shared the premise of my “mystery” work in progress with a published mystery author and she said it wouldn’t work. She gave me the following reasons: There has to be a dead body in the first few pages, the female main character needs to be an expert from the beginning (my character learns her trade and grows throughout the story), a female main character couldn’t learn from an older male character who is her mentor (which would make her look weak, plus is sexist), and to never, never, never have characters who get or are married (which my characters are likely to do at some point). She suggested I shelve the project. I was devastated. I put aside my manuscript and started working on another book. The stoppage lasted for about a week, until I started to question what she told me. What about Precious Ramotswe, the main character in Alexander McCall Smith’s hugely popular No. 1 Ladies’ Detective Agency series, who rarely encounters a dead body, learns as she goes, and gets married to Mr. J. L. B. Matekoni? Or how about the protagonist in Dorothy Gilman’s Mrs. Pollifax series? She doesn’t fit the mystery detective stereotype. Then it struck me. What if the problem wasn’t the product, but the label? The terms have been used interchangeably in the past. They have been defined differently by various agents and publishers. The definitions are made more confusing by popular novels that cross the boundaries into two or more genres. Regardless, having a clear genre in mind will help you write and sell your work. Usually the protagonist stumbles on a murder or other serious crime early in the book and struggles to find out the truth about it. The level of danger/action is moderate. The identity of the culprit is the main secret. The crime or murder hasn’t taken place in the beginning of the story and the reader may know more about it than the protagonist. Tension arises from wondering whether the characters will be able to stop bad things from happening. In suspense, the identity of the culprit is usually known. It is not a secret or surprise. Danger and tension are the key words in a thriller. Packed with action, the protagonist and other characters are usually under threat from the beginning and the levels escalate. Some people consider thrillers to be a branch of suspense, or basically suspense on steroids. Based on these definitions, the best label for my work in progress is suspense. 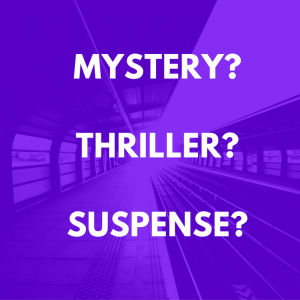 Looking deeper, it turns out there are many sub-genres of suspense. 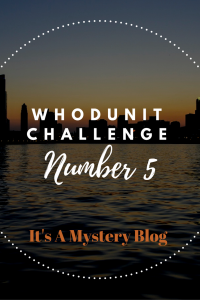 Vastly different novels have been labelled as “romantic suspense,” from the Sisterhood series by Fern Michaels to Shelley Coriell’s dark, twisty The Apostles series, to Janet Evanovich’s Stephanie Plum series. The common thread is that relationships pop up between characters and prove to be an essential part of the plot. Domestic suspense novels feature crimes revolving around family members. Although examples have been around for awhile, it has recently been gaining in popularity as more readers discover it. Depending on the level of action/danger, this sub-genre may be called a family thriller. Also related is the malice domestic mystery, which involves solving a crime against a family member. In this sub-genre an ordinary person goes up against a powerful enemy. Will they be able to prevail? Sometimes if the persons in jeopardy are family members, this may overlap with domestic suspense. This is a suspense novel with supernatural or paranormal elements. Two friends, acquaintances, or a married couple work together to prevent bad things from happening. The less-than-smooth relationship between the two adds to the interest/tension in the story. Of course, there are more sub-genres of suspense and even more thriller sub-genres. Hopefully, knowing that the different types exist will free you to explore the story you want to tell. What are your thoughts about these categories? Do you think they are helpful or lead to formulaic fiction? Disclosure: I am an affiliate with Amazon so I can provide you with cover images and links to more information about books and products. As you probably are aware, if you click through the highlighted title link and purchase a product, I will receive a very small commission at no extra cost to you. Any proceeds help defray the costs of hosting and maintaining this website.